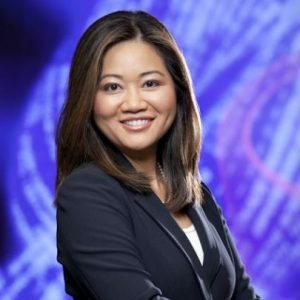 Linda Yueh is a fellow in economics at St Edmund Hall, Oxford University, and adjunct professor of economics at London Business School. She is also visiting senior fellow at the London School of Economics and Political Science’s foreign policy think tank, IDEAS. Linda is a TV and radio presenter, including for BBC Radio 4 and the World Service, as well as having fronted BBC TV series, such as The New Middle Class, Next Billionaires and Working Lives. She serves on the supervisory policy committee of the Centre for Economic Performance at the London School of Economics, and on the advisory board of the Official Monetary and Financial Institutions Forum. She is also a widely published author and editor of the Routledge Economic Growth and Development book series. Her latest book, The Great Economists: How Their Ideas Can Help Us Today, was published in March 2018. Previously, she was chief business correspondent for BBC News and host of Talking Business with Linda Yueh on BBC World News and BBC News Channel based in Singapore. Professor Yueh has advised the World Bank, European Commission, Asian Development Bank, World Economic Forum in Davos, among others. Trust: 10 years after the financial crisis, have we learnt the lessons?